Intel is set to pay Nvidia $1.5 billion (£0.96 billion) to license its graphics technology, settling a legal dispute between the two companies. The deal settles a legal dispute between the components giants, giving Intel the right to use Nvidia's graphics tech in its PC chips. The agreement is a six-year cross-licensing deal, extending each company's access to the other's tech. However, the deal excludes proprietary Intel x86 designs, and other areas like flash memory. "The cross-licensing agreement allows Intel to integrate NVIDIA technologies and those that are covered by our patents into their CPUs, such as Sandy Bridge, for example," said Nvidia boss Jen-Hsuan. "And a cross-license allows us to build processors and take advantage of Intel patents for the types of processor we're building—Project Denver, Tegra, and the types of processors we're going to build in the future." Nvidia's shares immediately shot up in value following the announcement of the deal – a clear recognition of the value of its tech to Intel. 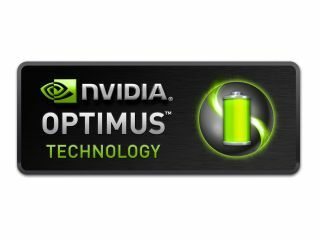 For its part, Nvidia will also get to use some of Intel's tech, as it develops its own PC CPUs in partnership with UK chip-maker ARM, who's chips are to be found in most smartphones. Nvidia is developing an ARM-based PC central processor under the code name "Project Denver" - which will provide direct competition to Intel in the PC market.